It is no secret that gaming is all about immersive experience. In fact, the biggest application of immersive technologies such as VR lies within gaming. While a simple set of headphones may not transport you away into a virtual world, it plays a big part in letting you feel involved in the action. It should cut out noise, while similarly letting you listen to enjoy sounds from all directions. On top of it all, it should provide you with 3D sound. 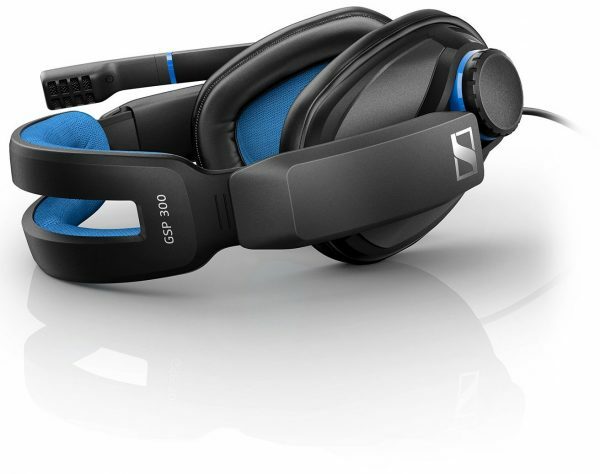 Sennheiser are no strangers to headphones, or gaming devices, and the GSP 300 is one of their entry level offers in the world of gaming. 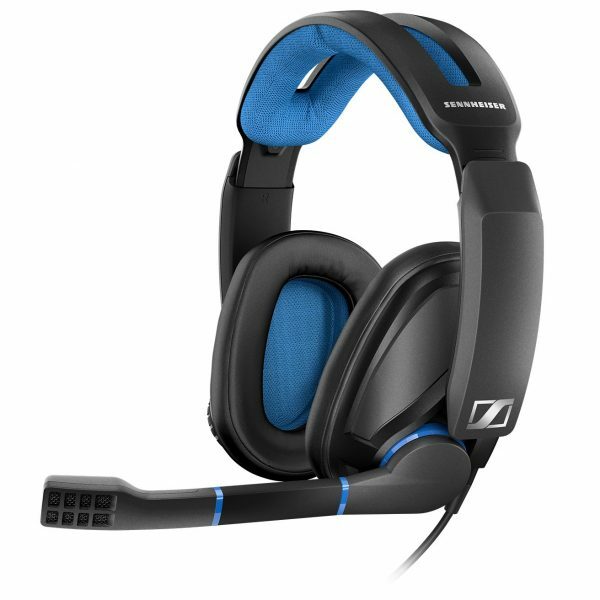 From the first impression, this looks like any other gaming headset. You have the earpads, the microphone, and the headband. Then you take these out of the box, and start to notice the difference. The ear pads are made of memory foam, which gives a comfortable fit on your head, and provides you with noise isolation. The headband also has split foam on it giving you extra fit and comfort. The headband is also adjustable to adjust to the size of your head and hair. On the left is the microphone boom, which can be moved to be in front of your face as per your needs, or lifted up to mute the mic. The right side has the built in volume control. The cable pops out below the left ear pad, and breaks into two for a microphone and headphone setting. This is particularly use for those with gaming PCs and proper sound cards or sound through their motherboards. Stuck with a laptop and just one output? There is an adaptor included for that. On the look of it may seem a bit bulky, but it is comfortable and light enough to be worn for hours. It is also tough enough to go through a bit of pain. The sound is absolutely immersive. With tests run using websites tells me that it may struggle at extreme frequencies, the experience is great in the usual modes. Music can be heard just fine, and the headphones pack the right kind of oomph for a gaming experience, be it a shooter or some fast paced racing. Stereo sound also lets you experience movement in real time through sound, i.e. you know when to look left or right! The microphone is really good on this. So good that I have been using it to record podcasts. It cuts out noise, and does so rather well. The auto mute feature is also particularly handy while playing games. Of course, it also helps while you’re eating or talking to others. 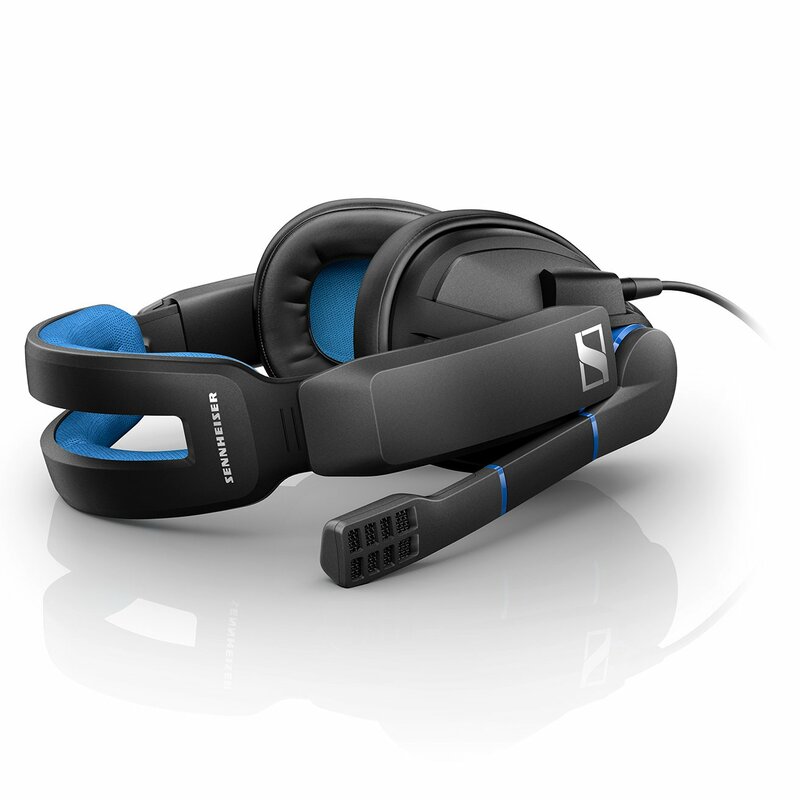 More information on the Sennheiser GSP 300 Gaming Headset can be found on their website. It retails from £89.99, though you can find slightly better deals online on retailers such as Amazon. With a price point that puts it on the entry level, these are great headphones for anybody who wants a proper experience but doesn’t want to splash out.